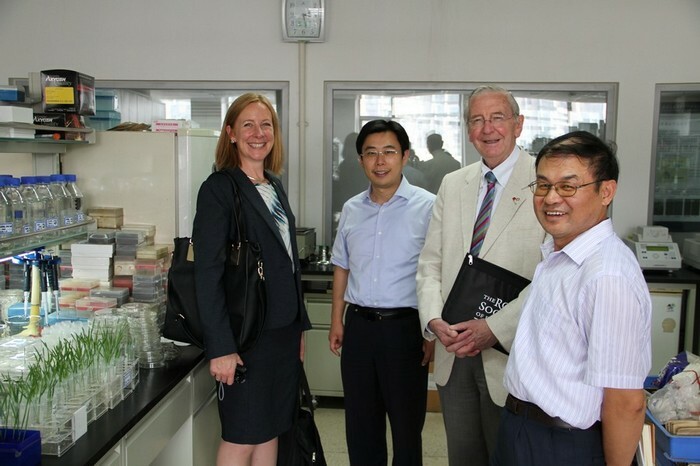 Sir John Arbuthnott, President of the Royal Society of Edinburgh, UK, accompanied by Ms. Roisin Calvert-Elliott, Business Development and Events manager, visited IGDB on September 9. Dr. XU Weihua, Deputy Directors of the institute, as well as Drs. 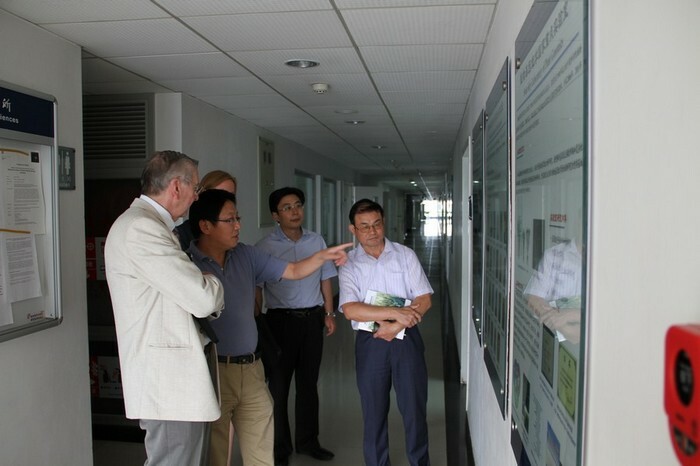 LING Hongqing，Head of the State Key Laboratory of Plant Cell and Chromosome Engineering， and ZUO Jianru，Head of the State Key Laboratory of Plant Genomics， from the institute took part in the meeting. 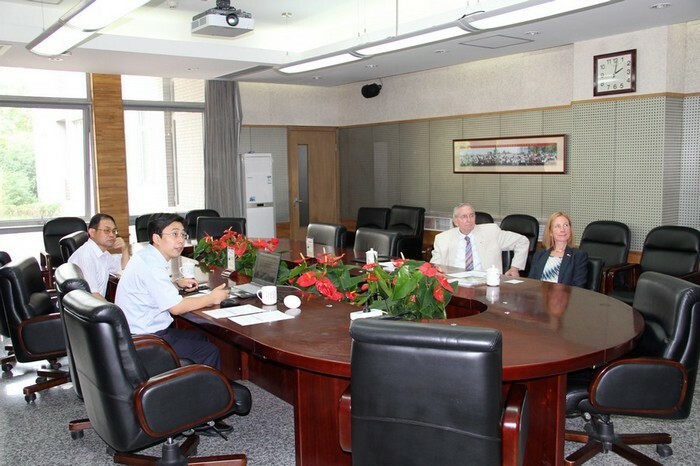 Dr. XU Weihua introduced the visitors the organization，recently research progress of IGDB. Then he briefly delivered the profile of the preservation and research facilities for genetic resources of Fauna and Flora. Then, the possible collaborations, especially the biomedicine， agricultural research, research paper in high IF journal, and climate change were discussed between the Royal Society and IGDB. Both parties hoped to establish a collaboration partnership on academic exchanges.